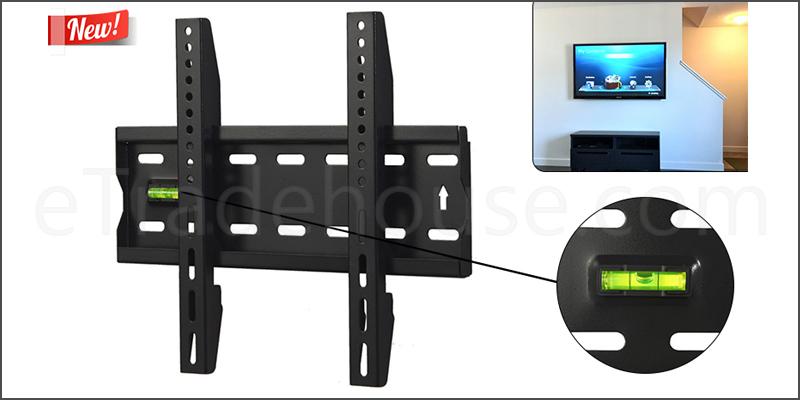 15 to 42 Inches Fixed TV Wall Mount Bracket with Built-In Spirit Level. 2.0mm solid reinforced heavy-gauge cold rolled steel. Compliant to VESA Standard and non-VESA (Random) Standard. Quick and easy to install – all fitting hardware for installing this wall mount bracket. Includes a built-in spirit level for accurate installation. VESA: Minimum - 50x50mm, Maximum - 300x200mm. VESA Compatibility: 50x50mm, 75x75mm, 100x100mm, 200x200mm, 300x200mm. Includes wall mount bracket fitting hardware.